Michael Bailey said he would fight for Milo’s life in district court in the hopes of retraining and restraining his pointer/hound mix. “I think if we had an opportunity, we could keep the community safe,” he said. to decide if their dog Milo is dangerous. Selectmen made the difficult decision to put Milo down in a split vote (3-2) Wednesday night after listening to hours of often-agonizing testimony from the parents of the victim and the teenage girl whose dog attacked the boy while she was babysitting him. “This is a tough call no matter what,” Chairman Olivier Kozlowski said. “The dog was in his own home but that dog’s home is right next door to the victim’s home. According to testimony and reports taken by Mansfield police and animal control, Heather Bailey retrieved 6-year old Christian from the school bus on Jan. 3 and took him into her home to get his house key and a Wii video. She said Milo had been asleep on the couch but awoke and was allowing the boy to pet him. Suddenly, Heather heard a commotion and saw Christian bleeding. She locked Milo in the bathroom, called 911 and applied first aid. Christian’s mother Dawn Herbert-Miller described the frantic rush to the hospital from work after she learned her son had suffered a significant wound to his face. 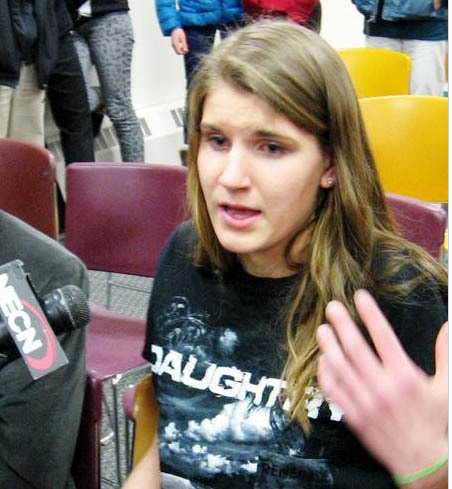 When she arrived, “my worst fears were realized,” she told selectmen. Christian underwent two hours of surgery and needed hundreds of stitches to repair his cheek. He required further surgery to repair deep gashes to his ear and leg. He has missed school, his mother said, is now deathly afraid of his own puppies. He cannot play hockey or do karate and is plagued with nightmares. He has scars on his face and the back of his leg. Michael Bailey said he deeply regretted the incident and the trauma the boy had endured. He admitted their 48-pound neutered dog, adopted from a shelter in September 2011, had food aggression issues but had stayed at relatives, visited a nursing home and had been boarded without incident. Bailey said Milo had nipped Heather and bitten him one time. He has since been retrained and is undergoing evaluation. He hinted at “some degree of provocation” by Christian and said his daughter was despondent, especially with the loss of two other family dogs. “It is our fervent belief that euthanizing Milo is a dramatic overkill response to our combined efforts to prevent any further perpetuation. Doing so will not make any of the visible scars heal faster but only stands to deepen the unseen scars of all the victims of this tragedy,” he said. Heather, who rode in the ambulance with Christian to the hospital, pleaded with selectmen to spare her dog’s life, saying, “We are all victims. “He is everything, so by killing my dog you will be taking everything away from me,” she said. Animal Control Officer Jeff Collins said Milo showed no signs of aggressive when he visited the house after a 10-day quarantine. But, without a credible witness to the attack, he used a “bite scale,” a description of the wounds from the Millers’ attorney and photographs to conclude Milo was dangerous. 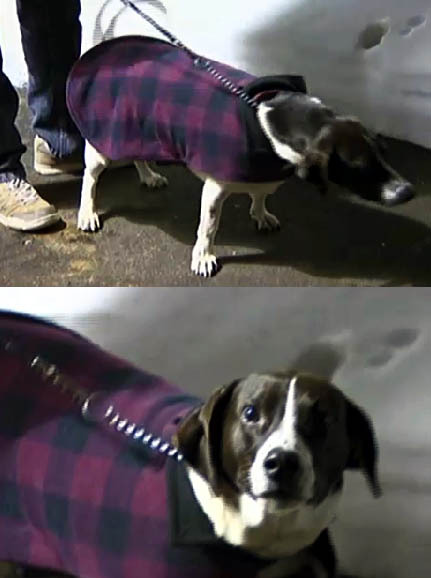 “If this dog bites again, the bite is going to be severe. That is my concern,” Collins said. Miller’s attorney Timothy Birmingham called the mauling “clearly an escalation of aggression. “We just can’t put any other young children or individual in danger of being bitten by this dog,” he said. Selectmen Kozlowski, Jess Aptowitz and Kevin Moran voted to declare Milo dangerous. This limited their options to euthanasia, permanent restraint, tracking for life and having the family carry a $100,000 insurance policy. Under new state law, the dog could no longer be banished to another community. Selectman Jess Aptowitz said he had to side with public safety and the victim. But, he told Heather, “ This is not your fault. Do not blame yourself. “There are no winners here,” he said. Selectmen Doug Annino and George Dentino voted against the dangerousness ruling and to spare Milo’s life. Dentino cited the lack of first-hand proof that the attack was unprovoked and said there could have been an interchange between Christian and Milo. He said he preferred to have Milo sent to a trainer out of town. “We live in a society of second chances. I think this dog deserves a second chance,” he said. TEXAS -- Dianna Wilson smiles as she looks at her new playful puppy Zoey, but she knows deep down the little pup could never replace Cutter. 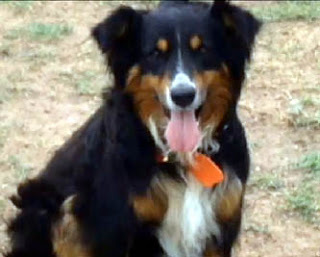 It was only a month ago that Cutter, her 13-year-old Australian Shepherd, had been viciously attacked and killed in her own backyard by two pit bulls that tore through the picket fence. Dianna and her daughter Tammy say they called Lubbock's Animal Control multiple times because the aggressive dogs kept trying to get in, and then on January 14th the dogs succeeded and attacked Cutter. He later died on January 23rd. "At none of those times did they offer any help. They did not offer traps to be set. All that was done after Cutter died," Tammy said. When we first aired Cutter's story, the City of Lubbock released a statement saying they were only contacted by Dianna on May 3rd and January 14th. In fact, the statement notes, "Telephone logs showed no dangerous animal calls from her phone number between those dates including the month of December." KCBD then requested the phone records from the City of Lubbock and what we found was shocking. The city's statement completely contradicted what their official records reveal. 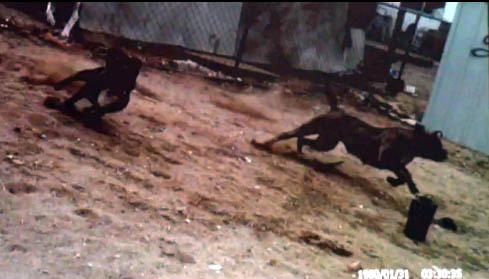 The records show Animal Control was called at least twice before Cutter's attack, and that did not include the calls she had made to 911 that were transferred to animal control. One document shows Dianna called on December 15th stating "Two pit bulls were trying to get into my backyard and get to my dog. They won't go away or back down, and they have blood on them." "We witnessed it. We lived it. We saw it. We knew we were telling the truth, but basically they called us liars," Tammy said. "We try to teach our kids to stand up and admit when they're wrong, take the blame and do what's right. We can't even get our city officials to do that." We took these documents to the Animal Control director George Torres for answers as to why the records did not match their official statement. "That was just an error on my part," Torres admitted. "When I was getting all the information I failed to provide you with those calls." We also asked why the traps were not put out until after Cutter was killed. "At the time the officers didn't feel it was necessary, and the traps were not set out," Torres said. While Torres admitted to the false statements, Dianna and Tammy will not be getting the apology they had hoped for. 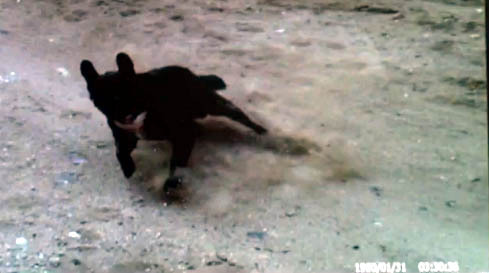 "We did not feel we were responsible for the death of the dog," Torres said. 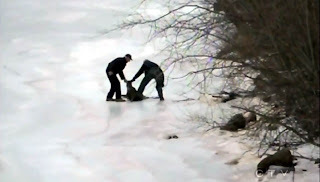 "We did receive the calls and we did respond, but they could not locate the dogs. With the officers we have budgeted to us they do a good job." However Tammy says that "good job" simply is not enough. "If those dogs could take down a 60 pound Australian Shepherd what could they do to a child? That's my concern," Tammy said. 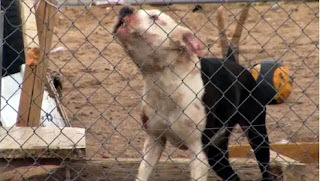 Torres says they deal with aggressive dogs on a daily basis, and last year they had more than 900 dangerous dog calls. 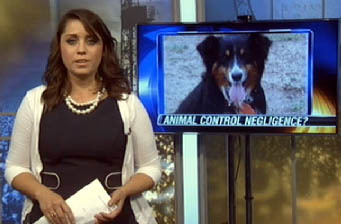 He says it is not the fault of Animal Control that Cutter died, but that irresponsible pet owners are to blame for not keeping their dogs on their property. NORTH CAROLINA -- Prosecutors volunteered to dismiss a case against a Manson man charged with felony starvation of a horse this week in Vance County Superior Court. Justice J. Mahoney, 45, benefited from protection afforded by the Fourth Amendment of the U.S. Constitution: the right of the people to be secure in their persons, houses, papers and effects against unreasonable searches and seizures. 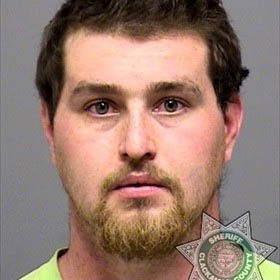 Mahoney had been free on $2,500 bond since early July, shortly after his arrest in connection with the July 5 discovery of an 8-year-old chestnut-colored gelding quarter horse that was found with its entire body inside a watering trough. Assistant District Attorney Allison Capps said that Vance County Animal Control officers learned of the horse’s demise from an informant, but they did not obtain a warrant to search the Mahoney property at 1497 County Line Road. The dismissal form filed by Capps ordered the recall of all, if any, outstanding orders for arrest, freeing Mahoney of all consequence in the case as a matter of law. Capps said that she does not believe the case reflects badly on the vast majority of the work being done by animal control. “Animal control does a great job with what they do, but in that case we just didn’t have it,” Capps said. An anonymous tip alerted animal control officers. Alex Hargrove, an animal control officer at the time, had been subpoenaed to testify in the case. He said the horse had died in a trough designed to hold an estimated 100 to 200 gallons of water. 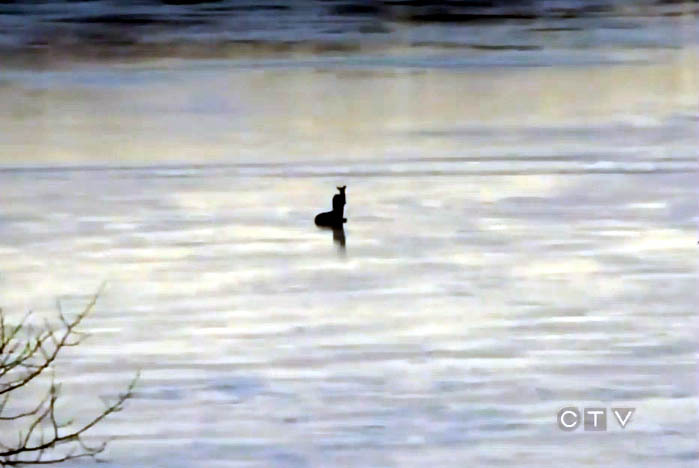 He said his impression was the horse suffered neglect before drowning, tethered to a pickup. OREGON -- A man who admitted to police that he [chopped his dogs up with an axe and killed] his dogs because, [according to him], he couldn’t afford to take care of them now has a puppy at home – despite a judge’s order against it. 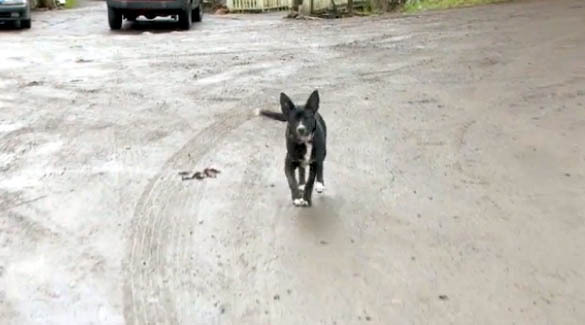 Acting on a tip from a viewer that Stalcup had a puppy, KATU visited his home in Eagle Creek, Ore., on Monday. 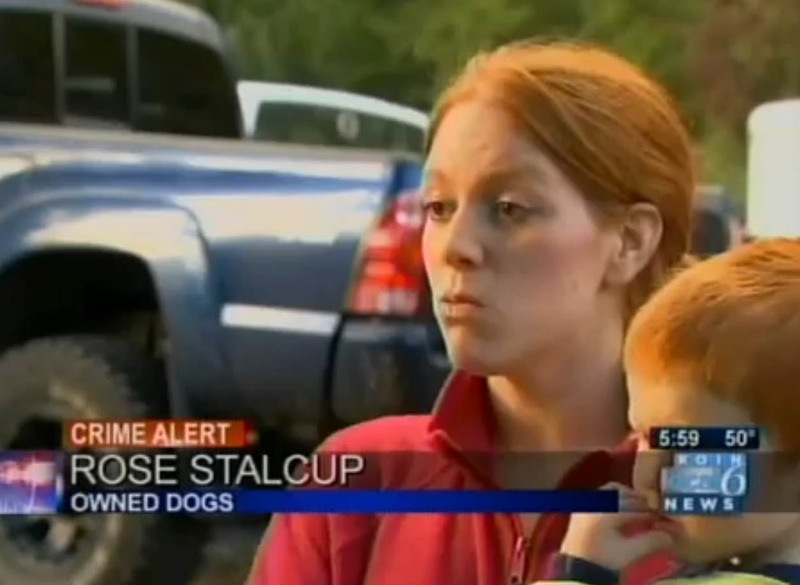 We talked to Stalcup’s wife, Rose Stalcup. She admitted they had the puppy, but said it was OK. She also said the couple had the puppy before the judge's ruling. “It’s legal. 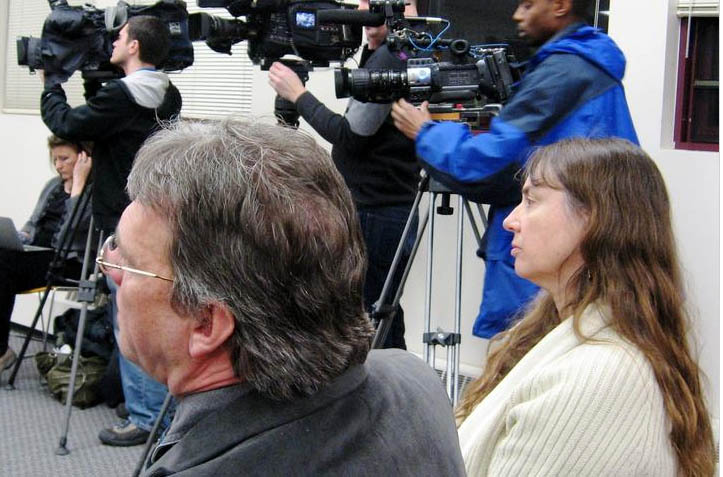 We’ve already looked into it,” she said, then ordering KATU to leave the property. Reached by telephone, J.P. Stalcup also said his lawyer cleared it with a judge to have pets at home. 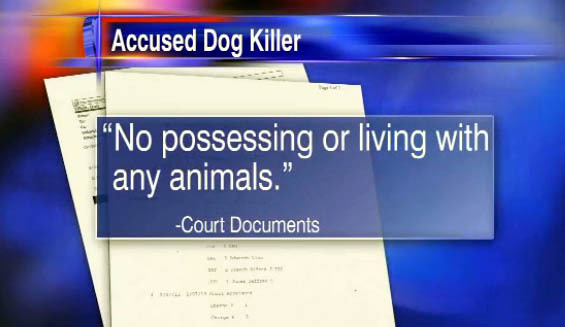 However, prosecutors said the defendant is not allowed to be in a home with animals. Attempts to reach Stalcup’s attorney on Monday were not successful. It is standard for defendants awaiting trial on animal abuse charges to not have contact with animals. 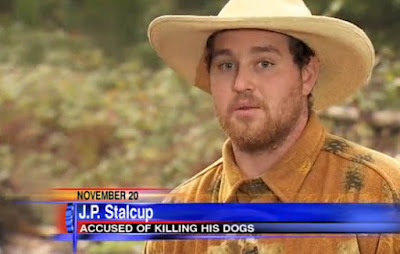 The investigation of Stalcup, 25, began when he initially told police his dogs had gone missing and that he later found Buddy and Duke dead about 100 yards from the house. Both dogs had been killed with an axe. Stalcup gave an interview to KATU in November, decrying the disturbing nature of the dog slayings. hadn't chopped up his own dogs and killed them. “What happens if, you know, they do that a couple more times and all of the sudden they’re not happy with – it’s not giving them as much jollies as it was the first couple times – so what are they gonna do next?,” Stalcup said in November. As the police investigation progressed, he eventually admitted to killing the dogs with an axe because he couldn’t think of an alternative to caring for them. 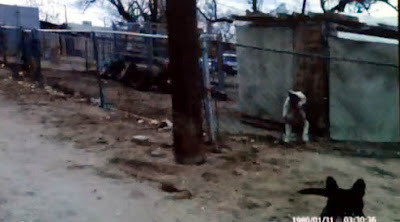 NEW MEXICO -- The Albuquerque Police Department released lapel camera video to KOB Eyewitness News 4 showing an officer shooting a dog that was about to attack. The incident happened Friday when APD officers responded to a call about three dogs that had attacked a Shar Pei mix. The situation had spiraled out of control forcing the owner of the Shar Pei to hit one of the other dogs in the head with a machete. 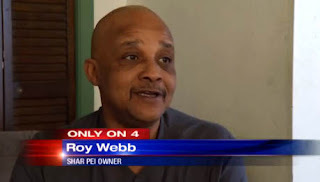 “I tried to the best of my ability to not to have those animals hurt, but at the same time I didn't want mine hurt either,” said Roy Webb, the owner of the Shar Pei. When APD officers arrived, the dogs were loose. The lapel camera video shows two dogs charging at the officers until one officer fires his gun, hitting the dog. Some criticized the officer’s decision to shoot the dog, but an APD spokeswoman said the officer had no choice. “I think anyone watching this video at home could put themselves in the officers shoes and imagine what it would be like to have less than a second to respond to very aggressive dogs charging you with intent to attack,” said APD Officer Tasia Martinez. Webb and his Shar Pei are trying to move on from the ordeal. Meanwhile, the police officer who shot the dog will be under a standard review, which is normal protocol anytime an officer discharges a weapon. COLORADO -- A dog that was scheduled court-ordered euthanasia after attacking its former owner is now missing after a Montrose man refused to turn the animal over to authorities. This week, Jeremiah Aguilar, the owner of a 107-pound American Allaunt named Dutch, ignored Municipal Judge Richard Brown’s order to hand over the dog to Montrose Animal Control. As of Friday, Animal Control authorities said the dog had gone "missing". Brown issued the order after expressing his disappointment not only in the attack, but in an Internet smear campaign that followed. He says the several online reports inaccurately depicted the attack, blaming the victim for provoking the dog without any substantiated evidence. The whole ordeal leading to Brown’s euthanasia order began on Nov. 14, when Dutch’s former owner, whose name has not been released due to safety precautions, was watching Dutch while Aguilar was out. According to court documents, Dutch, who the victim had raised and owned for two years, got into a fight with one of her dogs. When Dutch failed to heed her warnings, the victim struck him with a tiki torch, which broke after a single strike. 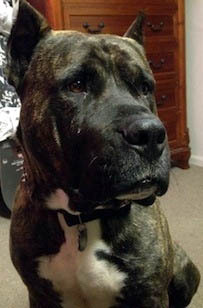 The victim said she then grabbed Dutch’s leash and restrained him. But shortly after taking him back into the house and beginning to wipe the blood of his nose, Dutch pounced on the victim, pinning her to the ground and biting he repeatedly for 10 to 15 minutes, according to her testimony. After the victim escaped and locked herself in a room, Dutch repeatedly head-butted the door, trying to break it down. When he was unsuccessful, Dutch took his frustration out on the home’s furniture, destroying several items. The victim was left with a compound fracture of her wrist and a severed artery that led to nearly $30,000 in medical bills, according to court documents. Aguilar argued the victim provoked the attack by striking Dutch with a metal pole, but the court ruled there was no evidence to prove those claims. Brown did not blame Aguilar for starting the Internet smear campaign against the victim, but he did say Dutch’s owner did little to quell a “lynch-mob mentality” that spawned against the victim. According to KKCO, that campaign appears to have been spurred by the website DogHeirs.com, where a writer claimed the victim beat Dutch, who then attacked out of self defense. Thousands shared the story on Facebook and over 270,000 signed an online petition called “Save Dutch the Service Dog.” Similarly, 22,591 people liked the Facebook page “Save Dutch,” which has since been taken down. 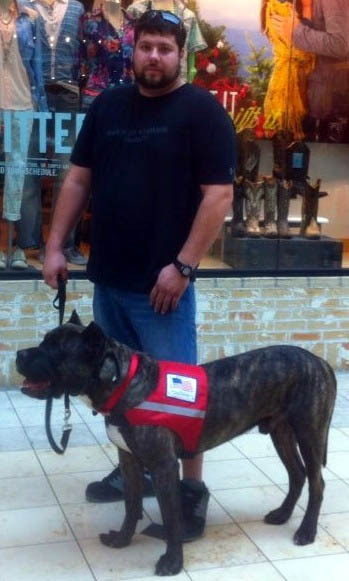 For example, Internet reports suggested Dutch was a longtime service dog for Aguilar, a veteran who suffers from PTSD. 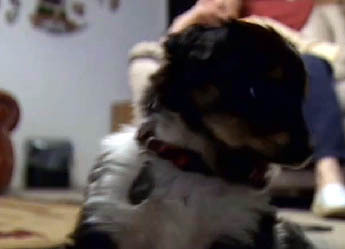 However, court documents revealed that Dutch did not become a registered service dog until after the attack. The complications surrounding the attack don’t end there. 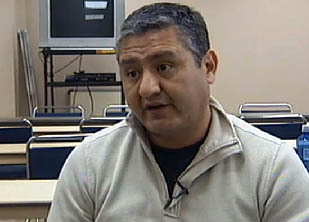 The victim is engaged to be married to Aguilar’s brother Joe, and if the marriage goes forward, the victim would be an aunt to Aguilar’s child. Aguilar’s brother and the victim testified that the attacks waged against the victim over various websites were not only hurtful but frightening, with Joe often sleeping with a gun for protection. According to the the Grand Junction Daily Sentinel, Aguilar is planning to appeal the decision to euthanize Dutch, as well as his $500 fine and two-day jail sentence. WASHINGTON -- A Granger woman suffered a broken arm while her 4-year-old daughter took bites to her arm and face Wednesday after a loose dog attacked them, Granger police confirmed Friday. Diana Ortiz, 28, was also holding her 8-month-old son when the attack occurred near the intersection of Sixth and Mentzer avenues around 2 p.m. The infant escaped injury, Ortiz said. 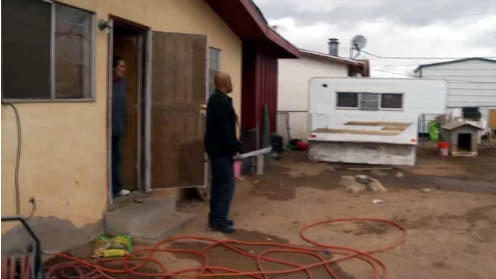 Ortiz and her children had just left the home of one of the dog owner’s neighbors at the time of the incident. Ortiz said she had purchased party gifts for an upcoming baptism celebration and was loading the items and her children into the car when a pit bull-mastiff mix attacked her from behind. Granger police Chief Robert Perales said the dog’s owner pulled the dog off them and drove Ortiz and her children to the hospital. “It was admirable of him, but there are consequences to having a loose dog and it attacking someone,” Perales said. 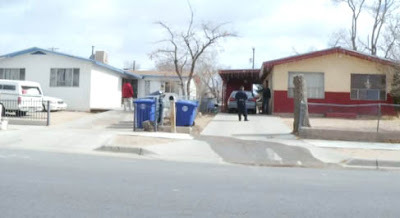 The owner, who Perales declined to identify, was issued a citation for having an unconfined dangerous dog. 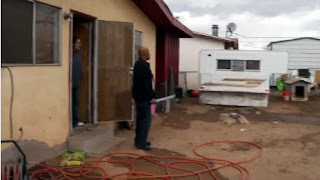 The owner told police he had let the dog out while he was cleaning its kennel, Perales said. The citation carries a maximum fine of $1,000 and up to 90 days in jail. The owner’s municipal court date has been set for March 11 and the dog is being held indefinitely at an animal shelter in Granger. Unlike the city of Yakima, Granger has no ordinance banning pit bulls. Ortiz and her daughter were treated and released from Toppenish Community Hospital, but Ortiz said her broken arm will require surgery and her daughter’s injuries will take time to fully heal. “She was bitten all over her face, it’s still really inflamed,” Ortiz said. 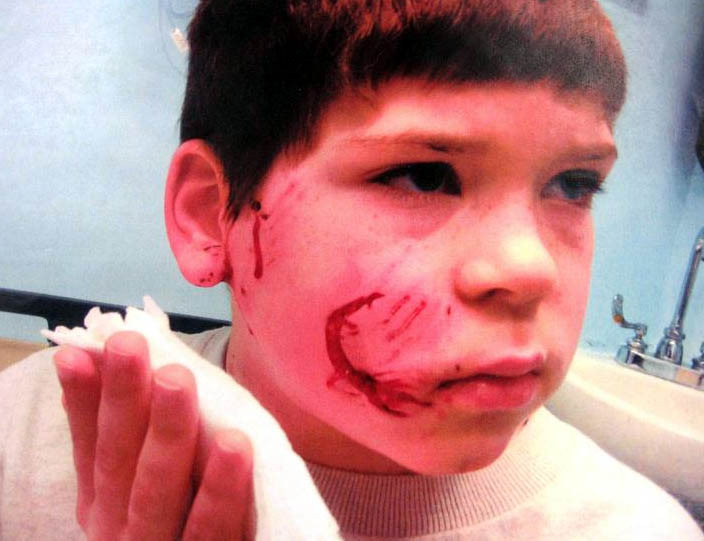 The incident echoes a mauling in Wapato in 2004, when a 4-year-old boy nearly had his arms torn from their sockets by three attacking dogs. The boy spent two weeks at Harborview Medical Center in Seattle, where he underwent surgery and skin grafts. He suffered more than 60 deep bites to his arms, neck, head and legs. CANADA -- Manitoba’s conservation minister has ordered a review after wildlife officers shot and killed a deer named Bambi in front of members of a Hutterite colony that raised the animal. Officers shot Bambi in the head in front of shocked witnesses at the Windy Bay Colony last week after deciding that the deer posed a risk to the community. Colony members had discovered the injured animal in a ditch last summer and nursed him back to health with fresh-baked bread, beef jerky and milk. 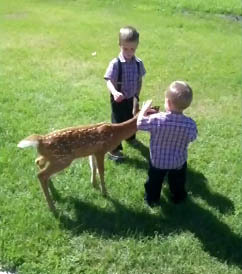 The deer played with children and dogs without incident. 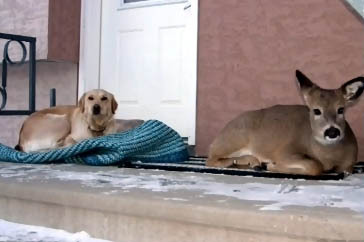 But one colony member became concerned when Bambi started growing antlers and called the conservation department in hopes the deer could be taken to a more appropriate environment. 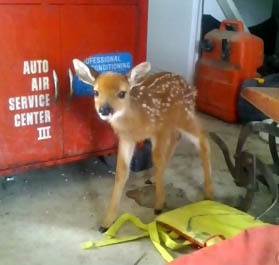 Two officers were dispatched to the area and they determined that Bambi had become too reliant on humans to survive on his own in the wild. 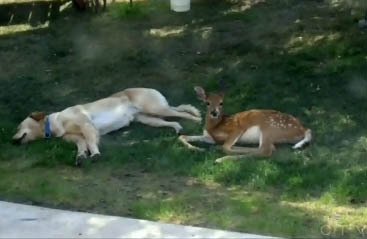 The Winnipeg Zoo was not taking in any more deer, so the officers decided to [kill] Bambi. 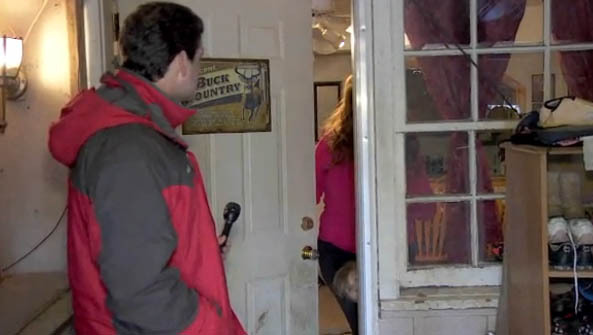 But colony members are questioning why the deer had to be shot in front of them. “All they did was make a couple of people back away from the immediate area and waited until the head was in the right position and shot it with a 9-millimetre pistol,” Maendel said. 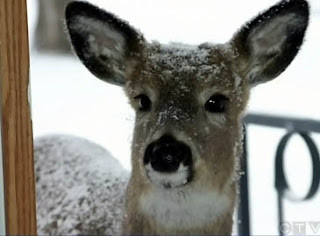 Conservation manager Jack Harrigan told The Canadian Press that the officers first tried to capture the deer and take it elsewhere, but some men at the colony refused to help. 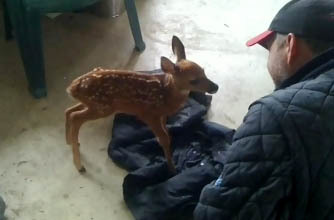 One of the residents did try to help them tie Bambi’s feet together, but the deer ran off. 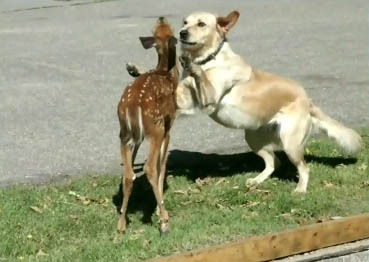 When the two officers left, Bambi returned and someone from the colony called them back. 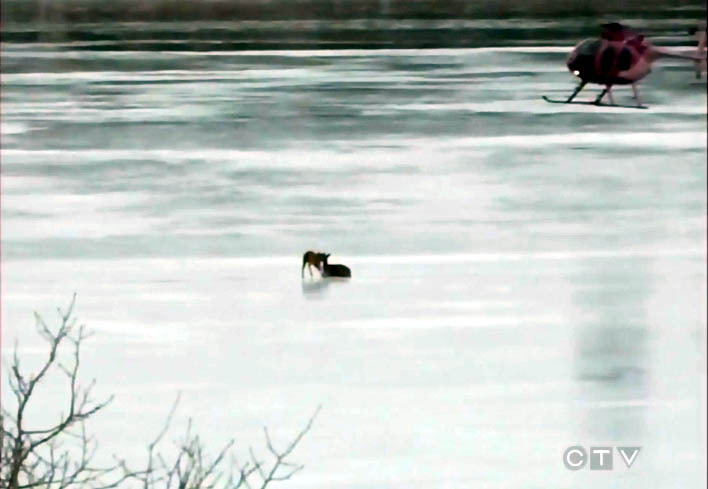 That’s when they decided to kill the deer before it ran off again, Harrigan said. Conservation Minister Gord Mackintosh has ordered a review of the incident, and said changes should be made to the provincial policy on wildlife euthanasia. “When euthanasia is called for, (it should) be done considering all humane options, as well as consideration for the environment and what’s going on in terms of any observers and so on,” he said. 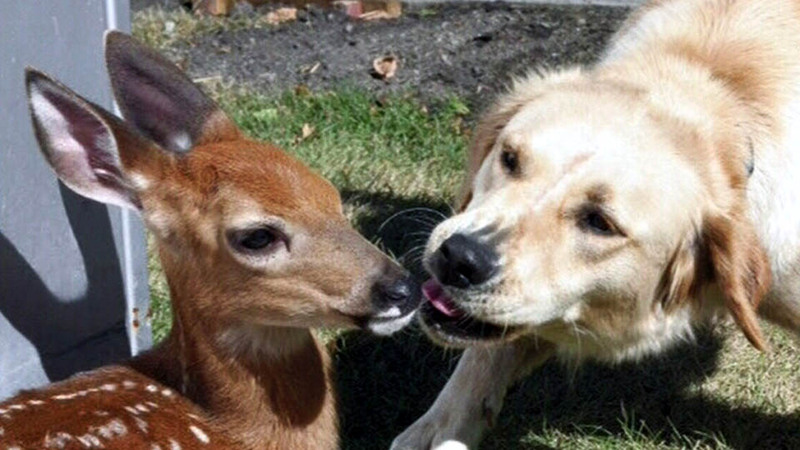 Experts say that while deer may be cute, they are still wild animals and can be very dangerous. “When these animals are imprinted or used to people, and especially a male deer, the chances it becomes aggressive toward humans in very likely,” said Lisa Tretiak of the Prairie Wildlife Rehabilitation Centre. In one case last year, a woman who approached a deer in Winnipeg was knocked down and left with a gash in her thigh that missed a major artery by only an inch. 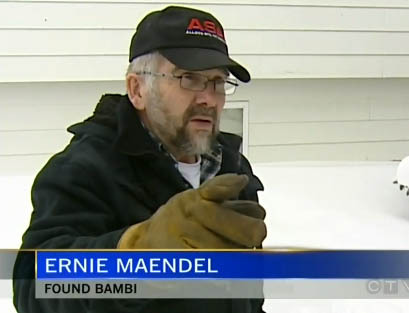 Maendel said he thought he was doing the right thing when he helped rescue Bambi from the ditch. 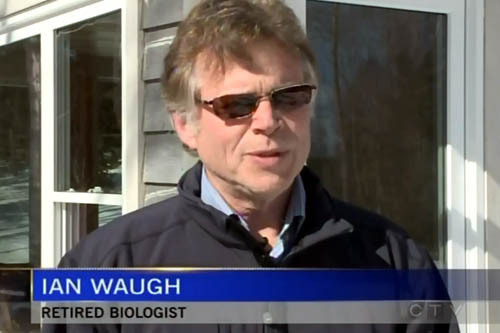 He said the colony only planned to look after him through the winter and then release him into the wild. CANADA -- A Nova Scotia man is sharing the story of an amazing animal rescue after a mother deer and her baby became trapped on the frozen waters of Antigonish Harbour. 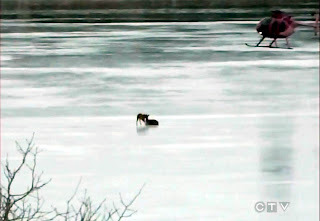 Ian Waugh, a retired biologist from Alberta, says he spotted the deer struggling on the thin ice last month. 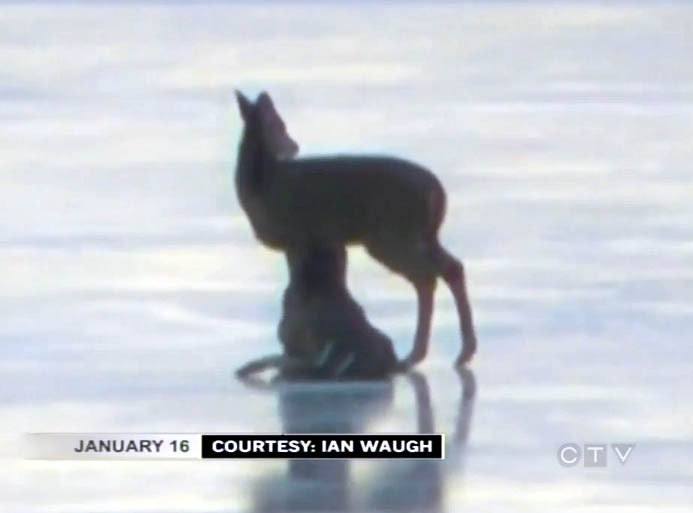 “It caught my eye that the female was down on the ice and every time she tried to get up, she would fall back down and she was splayed out in just, one of those positions that makes you go ‘ugh,’” he says. 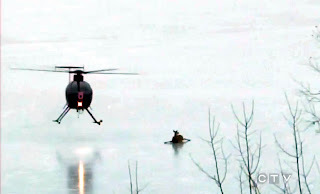 Waugh, who now lives in Lanark, called the Department of Natural Resources, but after checking the ice, officials determined it was too thin to risk going out to rescue the deer. A few hours later, Waugh spotted a DNR helicopter near the deer. 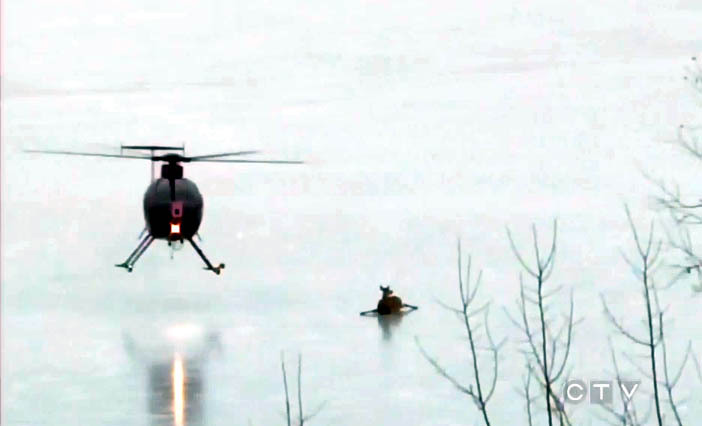 The fawn ran to shore and the chopper came down close to the mother. “The wash, because the ice was so smooth…the wash was so powerful that it actually started to push the deer,” says Waugh. 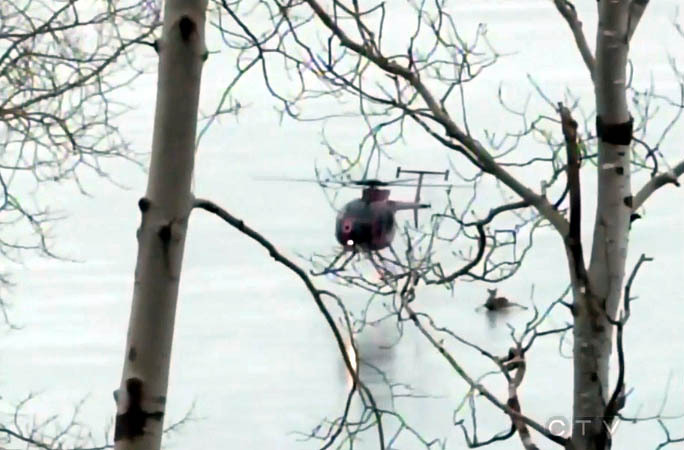 He says the deer eventually stopped struggling and went with the flow, while a DNR officer and the pilot directed the animal to shore. Department officials say it’s not always practical to help wild animals in distress, but that they will assist on a case-by-case basis if it’s appropriate and safe. 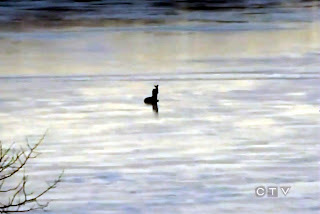 Waugh captured the amazing scene on video and is now sharing the incredible story. Storeowner Loyola MacDonald says her brother was one of the officers who helped the deer back to safety. She has been showing the video to customers at her general store in St. Andrews. “Everybody I’ve shown it is more than impressed with it and was quite amazed at the situation and the wonderful outcome that happened with the deer,” she says. Waugh says he is especially impressed with the ingenuity shown by the pilot. Waugh isn’t certain where the deer are now, but says they were spotted walking in the woods together shortly after they were rescued. CALIFORNIA -- A judge has denied two defense motions to dismiss the cases against three charged for a dog attack in Palermo last May. Defense attorneys had claimed the prosecution failed to preserve evidence in the cases against Chic Gordon of Palermo, Ruben Daniel Cambra of Oroville, and Theodore Jason Scherbensky of Oroville. 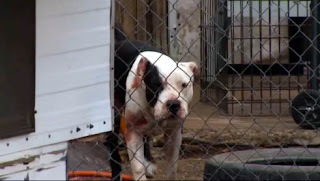 The defendants were charged after two dogs — a pit bull named Gus and a Queensland heeler named Shane — allegedly attacked Virginia Lorusso on her property adjacent to Gordon's on May 21. Lorusso's left leg, right ankle and arm were injured. Butte County Superior Court Judge Kristen Lucena denied the motions Tuesday, according to Gordon's attorney, Philip Heithecker. He said the judge determined the prosecution's actions were not in bad faith. Heithecker said the defense will explore appellate rights, particularly if the defendants are convicted. 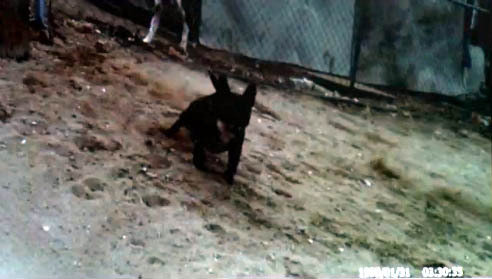 Gordon and Cambra are both charged with a felony count of allowing a vicious animal at large. Scherbensky is charged with being an accessory after the fact for allegedly trying to conceal one of the dogs. The dogs' destruction was at the center of the defense's argument to dismiss the charges. Butte County Animal Control detained the animals after the incident. Two civil court judges separately ruled the dogs were vicious and ordered their destruction. The defense wanted the animals kept alive for evidence in the criminal case, but the prosecution filed a motion that they wouldn't be kept as evidence. In criminal court on Aug. 9, Judge William Lamb indicated that the civil court had jurisdiction, but the bodies should be preserved. The defense argued on Jan. 31 that the bodies were insufficient evidence and cited an expert who stated the dogs needed to be observed interacting with other dogs, their owners and strangers to determine if they were vicious or aggressive. Another defense motion argued that it was impossible to compare the animals' teeth impressions with photos of the victim's injuries because there was no ruler or scale on the pictures. Deputy district attorney Kennedy Rizzuto said the evidence in the case included witnesses, videos and the dogs' bodies. She cited an expert who noted monitoring the dogs in custody had no evidentiary value because their behavior typically changes in custody. The defendants remain out of custody. A trial date has been set for March 25. UNITED KINGDOM -- A savage attack by two dogs has been described by a police officer as the worst she has ever seen. Christopher Smith, of Aldebarton Drive, Barton, Oxford, was jailed for four months yesterday because of “horrific” injuries inflicted by his pets. A judge ordered the destruction of the pair of pit bull/Staffordshire bull terrier cross-breeds after they were allowed to “run riot” on December 15 last year. Smith was disqualified from owning any dogs indefinitely. Three people were taken to hospital after the attack, including grandmother Sushil Giddy, 56, who suffered two wounds to her right arm and another to her left leg. She spent seven days in hospital and had to have plastic surgery and skin grafts to repair the damage. Pensioner Ken Deadman, 68, spent nine hours at Oxford’s John Radcliffe Hospital after being bitten on his upper left arm. The pair had come out of their homes at around 8am after hearing their neighbour Donna Dawson screaming because she had been bitten on the wrist. Speaking after the hearing, investigating officer Pc Kelly Gladstone said the attack was “the worst I have ever seen”, adding: “This was a particularly vicious attack and the victims are still recovering from their injuries. Oxford Crown Court heard how the animals ran out through a door left open by 30-year-old Smith following a heated argument with his mother. 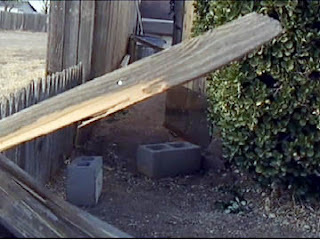 The unemployed father-of-one threw a TV at a Christmas tree inside the house, before storming out. His dogs – called Sky and Rex – followed him. Jane Malcolm, defending, said they only attacked out of an instinct “to protect their owner”. But Judge Mary Jane Mowat rejected this explanation and said Smith had been prosecuted before for not keeping his dogs under control. In November 2009 he was convicted of a similar offence and was ordered to keep both dogs on leads and make sure Sky wore a muzzle in public. After the hearing Mr Deadman said the attack left him unable to use his arm or drive for three weeks. 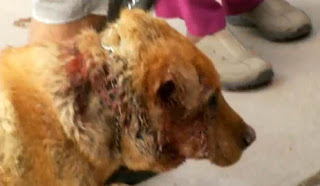 Smith was given four months in prison for being in charge of a dangerously out-of-control dog that injured someone. 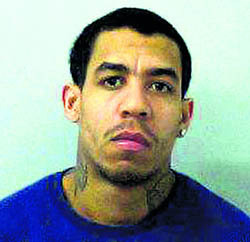 He was also jailed for 14 days for possessing cannabis, to run at the same time. He admitted all the charges. A spokesman for the RSPCA said the charity favours licensing dog owners to make them more accountable. Mrs Giddy did not wish to comment. Her daughter Natasha previously told the Oxford Mail her mother was “traumatised” by the attack and the animals should be put down due to the severity of her injuries. 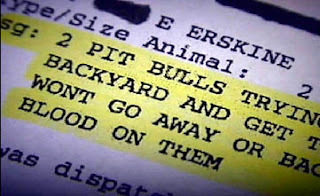 SOUTH CAROLINA -- An Anderson man’s dog was killed after being attacked by a pit bull on Sunday morning on Jeb Stuart Avenue, police said. Jack Campbell told authorities that he was walking his dog when the pit bull came from nowhere and went after his dog about 11 a..m., said Lt. Tony Tilley, public information officer for the Anderson Police Department. The pit bull’s owner told authorities his animal nearly knocked him over as the canine bolted out of the door, Tilley said. Campbell, 82, said he attempted stop the attack with a cane, but he was unsuccessful. 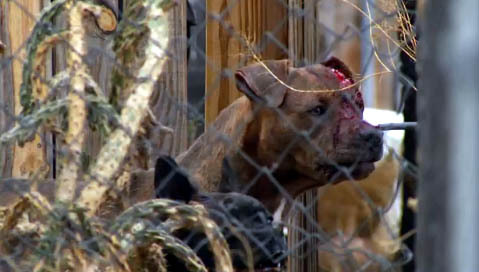 The pit bull’s owner also tried to separate the animals, but that didn’t work, Tilley said. 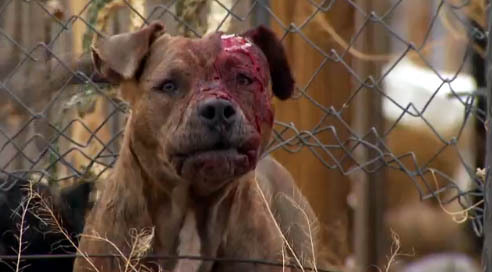 Tilley said the owner of the pit bull had bruises on his hand. Anderson police said that they’ve turned the case over to an Anderson Animal Control officer. Later, Tilley said that the Animal Control Officer has been in touch with both parties and is still investigating the matter. He said he didn’t know if the dog was still with the owner or in the hands of animal control. ILLINOIS -- A woman has been arrested after allegedly stabbing her cousin's pet cat to death following an argument. Tish Coleman, who was said to be 'covered in blood' when she was arrested in Chicago, U.S., on Friday, was found with a bloodstained Swiss Army knife in her purse, police said. 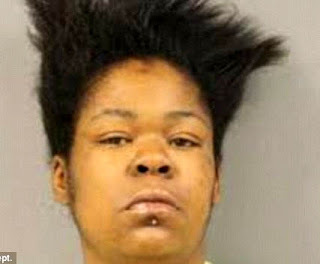 The 31-year-old is accused of attacking the animal after fighting with her cousin at the apartment they share in the Woodlawn neighbourhood. Coleman allegedly hit her 26-year-old cousin in the face and tore her shirt when an argument broke out between the pair at around 8pm on Friday night, according to a report in the Chicago Tribune. Coleman's cousin managed to push the woman outside and shut the door, but she continued to create a disturbance outside on the porch, prosecutors said. When another woman entered the apartment through the porch door a short time later, the cat ran outside. Coleman and the cat were gone when her cousin went outside a few minutes later, court documents said. The 26-year-old then found her pet, which had brown and white spots, lying bleeding on the landing of the building's stairwell. The one-year-old cat had puncture wounds on its left side. Police arrested Coleman about a block from the apartment. When questioned about what had happened, she is said to have told officers: 'I did nothing to the cat'. A Swiss Army pocket knife found in Coleman's purse had blood on the blade, police said. She is charged with felony aggravated cruelty to an animal and misdemeanour domestic battery. Judge Isreal Desierto ordered her held on $75,000 bond, the report said. A Chicago Police Department spokeswoman said Coleman had been arrested in the past on charges of battery, simple assault and criminal damage to property.